Nasser Al Osaiba is the Managing Partner of the Abu Dhabi office of Global Advocacy and Legal Counsel. Practicing for over 18 years, Nasser has extensive experience in advising clients on banking and finance related matters and dispute resolution in the United Arab Emirates. Nasser received his Shari’ah and Law degree from the School of Law at the UAE University in Al Ain in 1998 and an LLM in Commercial Law from Melbourne University, Australia in 2011. He previously served as Head of the Legal Department of the National Bank of Umm Al Qwain and is experienced in advising clients on all legal aspects of banking, Islamic finance, project finance, UAE debt capital markets and international lending transactions. Nasser’s clients include local, regional and international banks, developers, government institutions and private entities. An experienced litigator, Nasser is licensed to appear before all courts of the UAE, including the Federal Supreme Court and the DIFC Courts and advises on a wide range of disputes. He has particular expertise in the field of construction – acting in disputes as well as advising clients on tender and project documentation and drafting and reviewing contracts. Nasser sits on the Board of Directors and is the Co-Chair of the Legal Affairs Committee of the American Business Group of Abu Dhabi named AmCham. 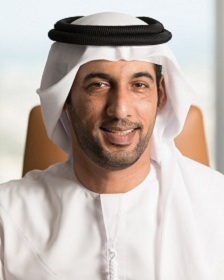 He is also a member of the Umm Al Qwain Rent Dispute Committee, on the Committee for Development appointed by the Ruler of Umm Al Qwain and an active member of the UAE Association for Lawyers. Nasser has published a number of articles and provides legal commentary and opinions in newspapers and magazines. He is regularly invited to speak as an expert at conferences and contribute to panel discussions.